Originally organized in 1977, the Southwest Virginia Solid Waste Management Association (SVSWMA) has a membership of over 200 solid waste professionals across southwest Virginia and beyond. Members include: Administrators, Engineers, Public Works Directors, Landfill Managers, Equipment Operators, Consultants, Laboratories, Haulers, and Vendors. The association is governed by a Board of Directors from which the officers of SVSWMA are appointed. 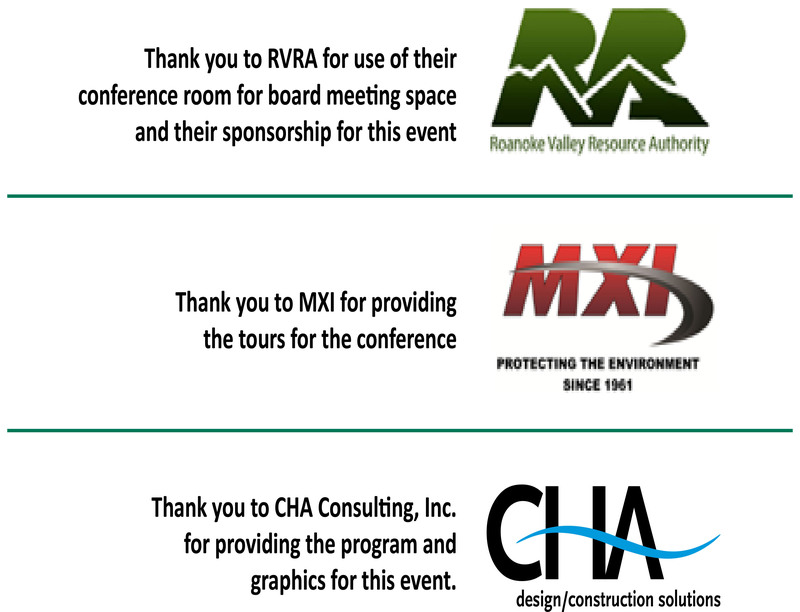 Membership meetings are held quarterly in various locations across Southwest Virginia. These meetings typically involve guest speakers and/or facility tours. Continuing education credits are offered to members for most SVSWMA events. The SVSWMA hosts an annual conference in September each year. Each year the conference attracts nearly 200 individuals. 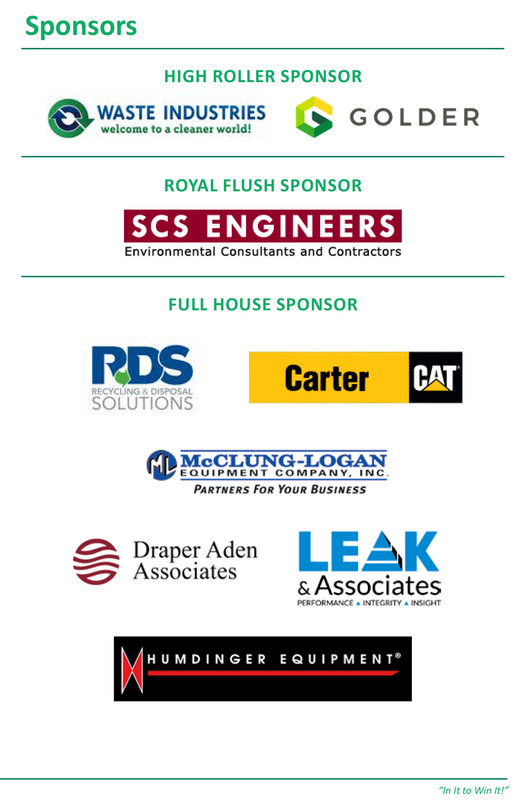 The two day conference explores subjects such as solid waste regulations, recycling, and operator training. Exhibitors and an annual golf tournament are important elements of the annual conference. The SVSWMA believes that networking is extremely important to members. Time at quarterly meetings and the annual conference is allocated to create opportunities to share information and experiences with other professionals in the industry. The SVSWMA also monitors and reviews legislative proceedings and will provide input on issues that affect members. Please browse this website and learn more about how joining the SVSWMA can help you. To join, click on Register above the Membership Event located at the top of this page.